Are you hungry for more of the Holy Spirit in your life? Are you ready for a personal encounter with Him that will change your life? The Holy Spirit is greater than our theology, bigger than our denominations, and truly beyond anything we can imagine. 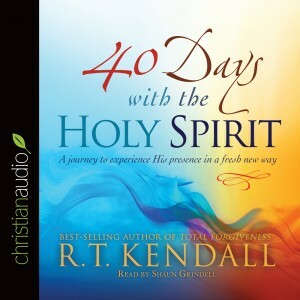 In Forty Days With the Holy Spirit, respected preacher and theologian R. T. Kendall takes you on a journey through daily readings from his book, Holy Fire, that will: · Present inspiring insight into the Holy Spirit · Provide a scriptural basis for deeper study · Direct your prayer time as you seek to know and encounter Him in a fresh new way · Provide journaling space to record your experiences with Him If you desire to increase your knowledge of this most misunderstood member of the trinity, or if you long to experience His presence in your life in a deeper way than ever before, this book is for you. The Power and Freedom of a Humble Life Pride is often the true reason why we get our feelings hurt, why we feel rejection, why we won’t admit to mistakes, why we want to be seen with certain people, and why we stay angry. Jesus gives us the perfect example of a powerful life lived without conceit, smugness, or arrogance. So why do we not want to admit to our pride? It is because of our pride! 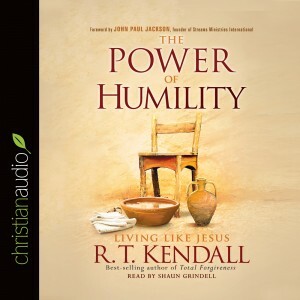 In The Power of Humility, R. T. Kendall challenges us to look deeply into our hearts and motives to recognize the pride and self-righteousness there. Using personal stories and enlightening examples from the Bible, he demonstrates how pride interferes with a close relationship with God and reveals how to overcome pride and become more like Jesus. Pigeon Religion: Holy Spirit, Is That You? Have you ever seen God move tangibly in a powerful worship service? Have you also been unmoved or unaffected by a lively sermon or worship experience? How can you discern when the Holy Spirit is authentically moving, or when a counterfeit spirit is producing manipulation? If the dove is the symbol of the authentic Holy Spirit, then the pigeon is a symbol of the counterfeit spirit. Unfortunately many of the claims to the presence of the dove among us are nothing but pigeon religion. Don’t settle for a substitute. 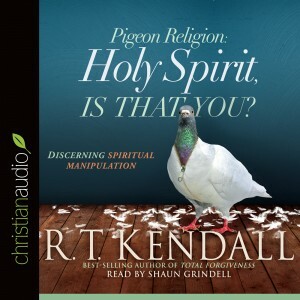 Respected theologian Dr. R.T. Kendall explains eight main differences between the dove and the pigeon, and then applies each to our relationship with the Holy Spirit. Readers will come away with a refreshed sensitivity to the move of the Spirit, a renewed knowledge of who He is, and a keen perception on how to identify counterfeit spirits. One of the greatest strategies of the enemy is to convince you to give up on your faith. If he can’t succeed at that, then his objective is to persuade you to settle for less than what God has planned for you. Don’t give up when victory is just around the corner! 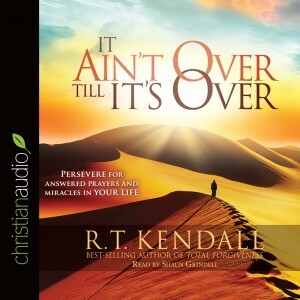 For anyone who has ever felt like throwing in the towel, Dr. R. T. Kendall brings divine encouragement. Don’t lose hope! Keep running the race. Not only can you finish, but you can also finish well. It’s not over! IT’S TIME TO STIR YOUR FAITH TO BELIEVE FOR: Miracles that you never thought possible Restoration for the most seemingly unmendable marriages The return of prodigal sons and daughters Healing of bodies, hearts and minds Financial provision, blessing and much more! This book will help readers prepare their hearts in expectation, be watchful for the approaching move of God, and build a deeper relationship with Him. 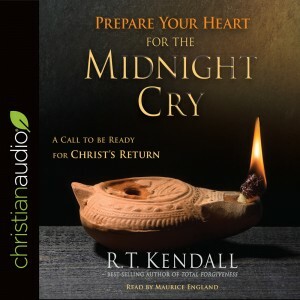 In this Spirit-inspired teaching respected scholar and theologian R. T. Kendall uses Jesus’s parable of the ten virgins to describe the condition of the church in the last days.Many Charismatics and Pentecostals assume that what we have seen in the one hundred years since Azusa Street is the final move of God before the Second Coming. 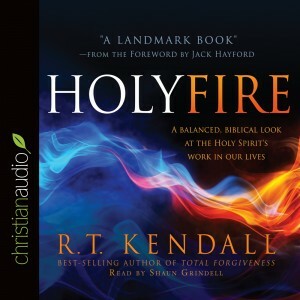 Kendall explains that this is not so and reveals that a movement of the Holy Spirit, which is one hundred times greater than anything we have seen—indeed the greatest since Pentecost—is about to unfold. It’s time to wake up! Honor, glorify, and love God by learning to dwell in His presence. 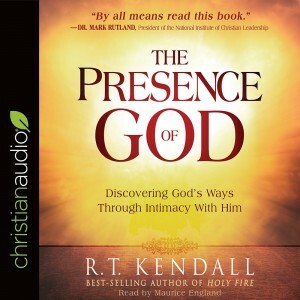 R. T. Kendall invites you to discover what it means to be in the presence of God. 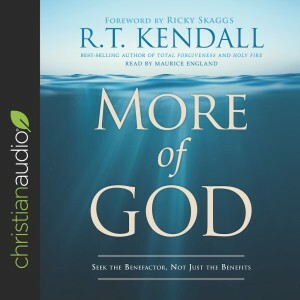 In this fresh, new look at God’s presence Kendall explores everything from the omnipresence of God to the tangible manifestation of His presence. You will discover why God might at times withhold a sense of His presence while at other times you might experience an acute sense of awe or reverence of God that drives you to your knees in prayer, leads you into spontaneous worship of Him, or brings about healing and other miracles. 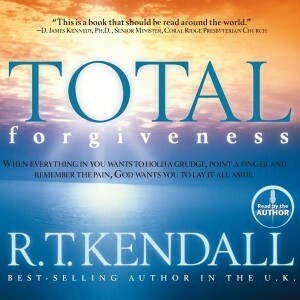 Kendall teaches you how to develop a sensitivity to His presence so your love for Him and relationship with Him will deepen and grow. Let’s Get Down to the Truth You know the “prosperity gospel.” The “name it and claim it gospel.” The "political gospel". The messages being preached on at least 90 percent of religious television. But what about the Gospel? What was it the apostle Paul was “unashamed” of?Most Christians don’t understand what the true Gospel of Jesus is. In our church sanctuaries pastors neglect to preach the fear of God and eternal punishment. Church communities have grown to believe that all are saved and none will be lost. Meanwhile many other Christians lack assurance of their own salvation and focus on sanctification as their only ticket to Heaven.They ignore what was historically introduced by Jesus, filled out by the apostle Paul, and articulated by the sixteenth-century Reformers. 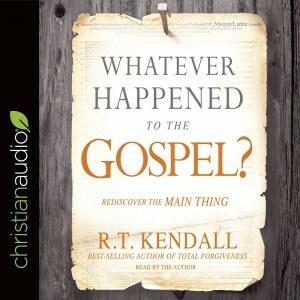 The Gospel has been brushed to one side, and evidence of this is seen in how churches are misleading and even mistreating people.IT'S TIME TO BRING BACK WHAT IT REALLY MEANS TO BE SAVED.Respected author and theologian R. T. Kendall sounds a wake-up call for churches across the globe. Whatever Happened to the Gospel? seeks to reacquaint you with the Gospel and reignite a passion in your heart to know more of God. FEATURES AND BENEFITS Balanced teaching on heaven and hell, good and evil, and the effect our lives have on both realms Insights to help readers access God’s purpose and plan so they can live truly meaningful lives Would you risk your reputation to find out what is pleasing to God?The greatest thing that can ever be said about a person is that he or she pleased God. But while pleasing God makes you popular in heaven, it may not make you popular on earth. Do you have the temptation to be well received here on earth? Do you make spiritual decisions based upon what people will think of you?Going a step further, have you considered whether you have any reputation in hell? Are you living the kind of life that causes a threat to Satan’s interests? That’s how you become famous in hell. It’s time to stop valuing your reputation with people more than your reputation with God. Start living your life with eternity in mind. 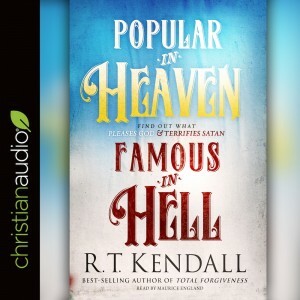 Respected theologian and author R. T. Kendall has written this book to help you discover the keys to living a life that truly pleases God, making you not only popular in heaven, but also famous in hell.